Before there was Elsa and all her Frozen glory, there was the snow queen from Hans Christian Anderson’s book. Snow has long been an inspiration for many photographers and designers, and for good reason. Snow and ice are incredible, magical, and beautiful. There is a sense of mystery to the cold temperatures, and it inspired this styled session with the beautiful Abby and Kaitlynn. Kaitlynn is our usual hair and makeup artist, so she did her own styling, and the lovely Sylvie did Abby’s makeup this time. 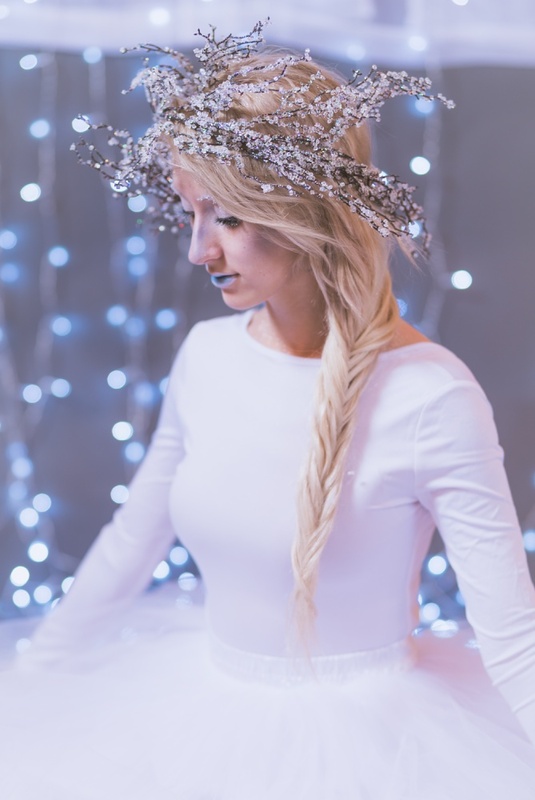 Both girls were eager to put their own twist on the idea of a modern day snow queen, and I loved having the creative freedom to make this shoot happen! The first look was very “Elsa”, with a beautiful white outfit and shimmering makeup. We did a side fishtail braid, and added a bit of floral branches to create a true crown. 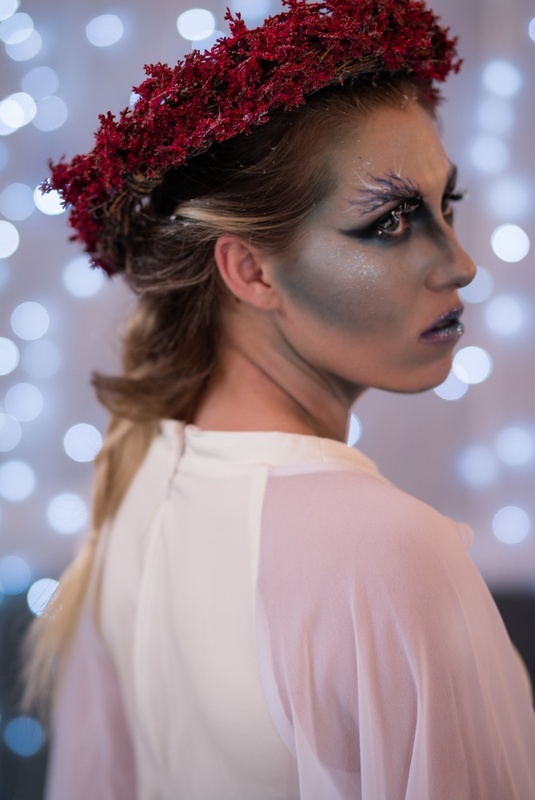 The second look was warmer and had more of a holiday feel, with a crimson floral berry crown, and hints of blue in her shimmering makeup look. As you know if you’ve been following my blog for any length of time, I really find inspiration in coming up with new and creative styling in my sessions, and this one was no exception. If you are a senior who wants really unique senior photos and has a special idea, I’d love to help you figure out how to make it happen…no idea is too crazy or too adventurous to try, and who wouldn’t want to have the most unique photos amongst their friends?